Am pretty sure most of you are still enjoying the 9mobile unlimited free browsing cheat with office VPN, if you are not then quickly head over to the post by clicking on this LINK. Anyway, In this post I will be showing you guys how to get free 60gb from 9mobile for 30days. If you have been following my blog before then you should know about this already but for those of you who are probably new here, you have nothing to worry about as I will be going through it all over again. 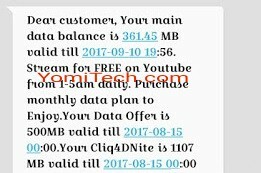 9mobile "Free Cliq4DNite data bonus" gives subscribers free 2gb data to stream youtube from 1am to 5am everyday for 30days whenever they subscribe for up to 500mb data or more. That's is a total of 60GB in 30days(1 month). Although the data is only for YouTube streaming, I will be showing you guys how to power all apps with the free daily 2gb data. 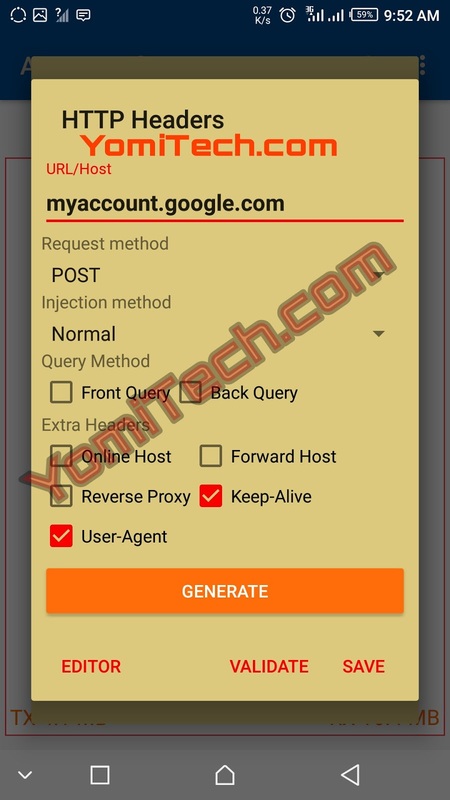 >> AnonyTun Beta V5.0 Apk - Download it HERE. >> to subscribe to the new morecliq on a new SIM, dial 200 and press 2. >> After successfully migrating to Easy clique, dial *545*3*1# or dial dial *545*3# and select 1 to get 100% data bonus. >> Make sure you have at least N500 on your 9mobile Sim. >> Dial *200*3*1# and select option 3 to subscribe to 9mobile 500mb monthly plan and you are qualified for the daily 2gb data. Once the 500mb finish will the free youtube stop working? Can i use the 2gb at Morning??? Well, it has stopped connecting. I tried to connect at 3:23am today and it's saying connection failed. Prof Whats The Lastest Cap.